With a string of acclaimed albums to her name and a mesmerising voice and stage presence, Londoner Susheela Raman has a gift for finding amazing collaborators and for bridging musical worlds. From the many layered Indian and African crossovers on Mercury shortlisted debut Salt Rain to her recent five-star reviewed (Guardian, FT) collaboration with Sufi Qawals, she has forged a unique path. 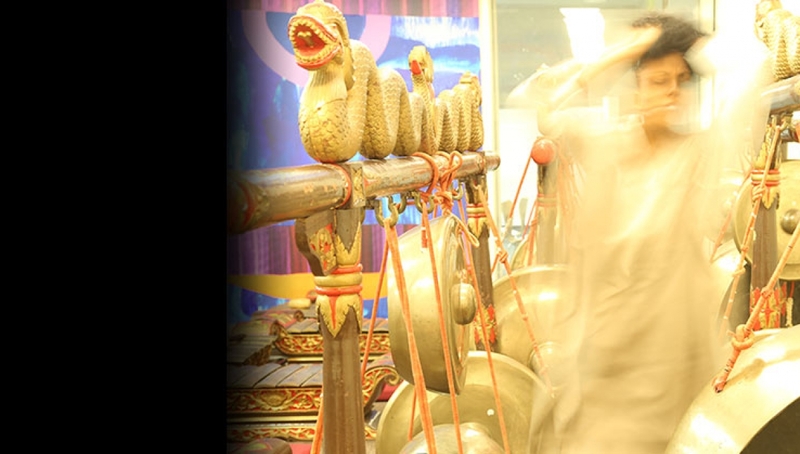 Recently, Raman and guitarist/producer Sam Mills have been in Indonesia delving into the mysteries of Javanese music, guided by maverick ‘contemporary gamelan’ composer Gondrong Gunarto. Susheela’s Ghost Gamelan Orchestra brings together Gondrong and three other crack multi-instrumentalists from the Javanese cultural hub of Surakarta, alongside some top London talent; two percussion maestros, Aref Durvesh (Nitin Sawhney, Jeff Beck, Joss Stone, Sting) and Pirashanna Theverajah (Ravi Shankar, Anoushka Shankar) plus virtuoso cellist and keyboardist Danny Keane (Mulatu Astatke, Bat for Lashes) and on Bass and Bassoon Jerry Meehan (Roxy Music, Robbie Williams and many others). This show promises a broad range of material, including tracks from her EP celebrating the 50th anniversary of the Beatles Revolver album and from her forthcoming album Ghost Gamelan. With support from Roundhouse Resident Artist Sera Eke, a conceptual artist musically somewhere between electronica, rock and hip hop. She has directed and produced her first official video as a side project, and integrates visual elements into her performance. If you enjoy music from Crystal Castles and Grimes, you will also appreciate the unique sound of Sera Eke. …wildly original, passionate and dangerous.